Specialising in both new build and refurbishment work, Abbey Glass & Burton Glass Commercial Departments fabricate and install Architectural Aluminium and PVCu systems throughout the East & West Midlands areas. Abbey Glass & Burton Glass are approved 'Kawneer' and 'Comar' Aluminium Systems fabricators and installers. 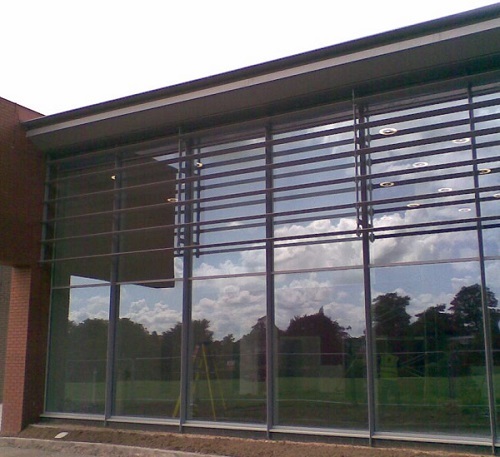 As well as Curtainwall and Patent Glazing, Abbey Glass also provide Commercial Windows and Commercial Doors. For more information and competitive quotations regarding Commercial Glazing in Derby and Burton please email Simon Law at enquiries@abbey-glass.co.uk. Or contact Abbey & Burton Glass online, for more information.